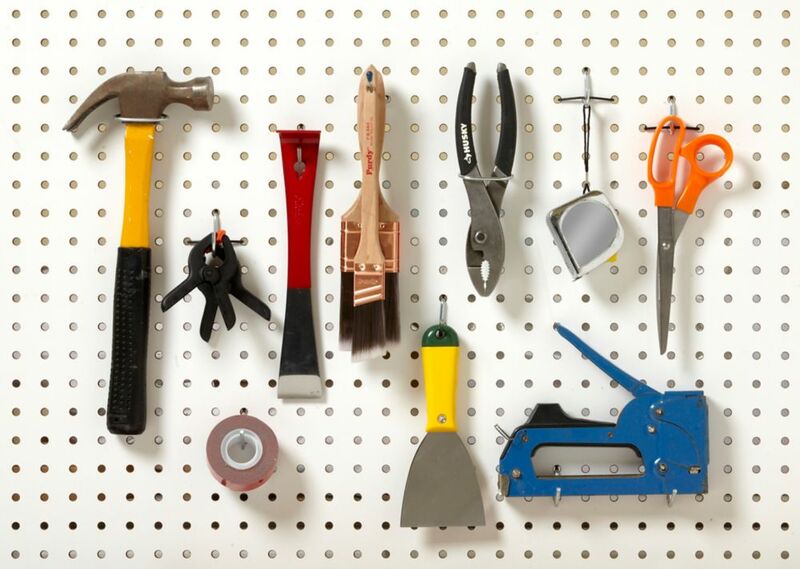 Use the pieces from this 32-Piece Pegboard Hook Assortment for 1/8 in. and 1/4 in. Pegboards to hang hand tools for easy access and storage. Peg locks keep peg hooks in place. When you have a lot of stuff, sometimes the answer to your problem is to have longer pegboard hooks. That's where these 4-inch long hooks come in: made from durable steel so they won't bend easily, and with a double-prong base to stop them from wobbling when loaded down, they can hold an array of tools and items commonly found on most workbenches. 32pc Locking Peg Hooks Use the pieces from this 32-Piece Pegboard Hook Assortment for 1/8 in. and 1/4 in. Pegboards to hang hand tools for easy access and storage.